(BPT) – Winter may be frigid for many, but it’s an ideal time to plan for warmer days ahead and make dreams of owning a boat a reality. Beginning in January, boat shows across the country offer some of the hottest post-holiday deals around, with special pricing and incentives on new boat models and marine accessories — a major draw for the 142 million Americans who take to the water each year, according to the National Marine Manufacturers Association. For those ready to plan their summer adventures on the water, boat shows are the best place to start. Whether you fish or sail, enjoy cruising, riding personal watercraft or wakesurfing, boat shows provide the unique opportunity to browse and board hundreds, sometimes thousands, of boats while taking advantage of once-a-year pricing and boat show specials. Boat shows also provide an avenue to enjoy a taste of the boating lifestyle during the off-season, plus they offer educational opportunities and alternative ways to get on the water for novices looking to get their feet wet. * Escape cabin fever for the year’s best deals. Unlike auto shows, boat shows are the place to buy. Hundreds of new-year models are available to buy right on the show floor at some of the best prices of the year, with many exhibitors offering special show pricing and other incentives. Boat shows make it easy for you to shop all the region’s dealers in one location. Plus, it’s the perfect time to order a new boat to ensure it arrives ready to launch in the spring. * Test the waters. Boat shows are a great place to learn the ropes of boating and take advantage of onsite training, which is usually offered at little to no cost. Educational opportunities at boat shows include everything from knot-tying and DIY boat maintenance seminars, to sailing simulators and boating lessons. You can often find fun activities to entertain the family and get everyone into the outdoors, from practicing how to reel in a fish to learning to dock and more. * Look for the seal of approval. When shopping for a boat at a show, online or at a dealership, always check to make sure it is certified by the National Marine Manufacturers Association. An “NMMA Certified” seal means a boat has met strict industry standards for safety, construction and federal regulations, enhancing an improved and safer boater experience. Look for the NMMA Certified sticker near the helm of a boat, and find a full list of certified boat manufacturers at DiscoverBoating.com. Visit DiscoverBoating.com to find a boat show near you, a list of certified dealers and manufacturers, and unbiased advice for getting started in boating. (BPT) – With student debt increasingly becoming a long-term burden on graduates and families, says Peter Gayle, a vice president for Prudential Advisors, it’s never been more important to minimize the out-of-pocket expenses to put a student through college — and reduce reliance on student loans. (BPT) – A recent study by the Center for Retirement Research (CRR) at Boston College suggests an alarming state of awareness about retirement readiness: Of surveyed households, 33 percent realize they are not well prepared, 19 percent are not well prepared but don’t know it, and 24 percent are well prepared but don’t know it. (BPT) – There are many choices when shopping for a smartphone these days, and the differences can be very subtle. Here are some of the key things you’ll want to look at to make sure you find the one that works best for your needs. Operating System (OS): There are two different operating systems to choose from. iOS works with iPhones, while Android operates with a wider variety of smartphones, like those from Samsung or Motorola. In general, iOS is considered easier to use, but you need to have an Apple device. Android gives you more options, plus the ability to customize with third-party software and widgets. Screen size: Get the right screen for the things you’ll want to do. Buy a phone with a screen smaller than 5.5 inches if one-hand use is important to you or if you have smaller hands. Get a bigger screen if you like to watch a lot of videos or play games, or simply want to have an easier time navigating on your touchscreen. Camera: Most people now use their phones as their primary camera, so the right selection here will be especially important. More and more smartphones boast cameras with at least 12 mega-pixels, so don’t go by only that stat. Instead, focus on individual camera specs and features like dual lenses or the ability to edit and enhance photos. Display: For a phone’s display, color quality and brightness matter more than resolution. Pay attention to how bright the display is, if it will be easy to see outdoors, and how colorful the panel is. The latest phones offer high dynamic range (HDR) for displaying even more colors. Design: Determining good smartphone design is purely subjective. Many people prefer a metal or glass design; others, plastic. If you’re concerned about durability, look for a phone that is water-resistant. A handful of phones also now feature a shatterproof glass display, and many include a Gorilla Glass display to protect it from short drops (A protective case will help with that, too.). Processor: Even midrange phones now offer satisfactory performance for nearly any user level or basic task. A good processor inside a phone will translate to faster open times for apps, smoother navigation and quicker photo editing. Battery: Many factors, including the screen size, processor and operating system, determine how long a smartphone lasts on a charge. A decent benchmark is to look for a smartphone with a battery capacity of at least 3,000 mAh. Any phone that lasts longer than 9 hours of straight 4G LTE use is considered very good. Storage: Given that some apps and games can easily take up more than 1GB of storage, not to mention how many high-res photos and videos smartphone owners are capturing, go for as much internal storage as possible. Some models offer just 8Gb or 16Gb; however, the minimum on premium handsets these days is usually 32GB. Adding a micro SD card can also help expand your storage. This option is available on many Android phones. Price: Don’t pay for more than you need. The latest iPhone and premium Android phones start around $650, and can easily run you $800 or more. But there are great options below $500, and even some solid choices for less than $200. Carrier: A smartphone requires a talk and data plan. Choose a service provider that offers what you’ll really use. Avoid expensive, one-size-fits-all plans. Consumer Cellular, for example, offers a wide variety of smartphone choices from entry level to top of the line, along with talk and data plans that cost their average customer less than $25 a month, with no contracts. Let today’s top technology work for you! It’s a competitive marketplace, so by shopping wisely, you’re sure to find a smartphone that keeps you happily connected at a great price. (BPT) – Age and chronic illness can take a toll. A June 2017 study by the Centers for Disease Control and Prevention finds that the costliest health conditions in the U.S. include: heart disease, cancer, arthritis, stroke and type 2 diabetes. An estimated 117 million people have one or more chronic health conditions. These health issues also place in the top 10 conditions of former workers who receive Social Security Disability Insurance (SSDI) benefits. Social Security disability is an important alternative for former workers who can no longer work because of a severe health condition. The average SSDI recipient worked 22 years before they experienced a life-changing disability. About 154 million workers have paid FICA taxes and have disability insurance coverage through the SSDI program. If you know someone who may qualify, check out the Refer a Friend program. Following are answers to the top five questions about applying for disability benefits. 1) Who applies for disability benefits? People who have experienced a work-disrupting severe health condition that will last for 12 months or longer, or is terminal. They may have a health condition, such as arthritis, a severe spinal condition, cancer, or have experienced a stroke or car accident. On average, former worker recipients are 54 years old. Last year, about 2.3 million former workers with disabilities applied for disability benefits. 2) When should I apply for disability benefits? Generally, you should apply when you cannot work because of your health condition. As soon as you must stop working, it makes sense to apply for Social Security disability benefits if you have solid medical evidence. If you are uncertain of when to apply, you can find help from a disability representation organization that provides free assessments of your likelihood of qualifying for the program. 3) Why should I apply for disability benefits? Most people apply for disability benefits because they need the monthly income. Plus, there are several additional benefits. You can get extra dependent benefits if you have a child under 18. You can get Medicare after 24 months of receiving cash SSDI benefits. You also protect your retirement benefits, and you can receive incentives to return to work. “It’s important not to give up on the idea of returning to work, eventually, because it’s much better for your finances in the long run,” Stein said. 4) How do I apply for disability benefits? Much like filing taxes, you have different options when applying for disability benefits. You can try it on your own, or enlist the help of a professional representative who understands what the Social Security Administration needs to process your claim. Most people who apply on their own are denied at the application level, and must appeal. Having a representative early in the process can improve your chances of approval and help ensure your application is completed properly. Most people have a representative for their hearing. 5) How much money will I receive? Your monthly benefit will be calculated based on your past work earnings and the amount of FICA taxes you paid on those earnings. You can find online calculators that will help you get an estimate of what you can expect to receive before you apply for SSDI. It can take a long time to receive benefits because the Social Security disability program has stringent rules and several steps in the claim review process. For more information, visit FileSSDI.Allsup.com. (BPT) – When it comes to buying a home, the beauty of the process is truly in the eye of the beholder. Some people see the opportunity to start a new life, live their dreams and make memories that will, quite literally, last a lifetime. Others get caught up in the problems associated with the home purchasing process, including its myriad pain points, some of which are listed below. Whichever path you follow, buying a home should be one of the most exciting moments in your life, so follow along to see which pain points in the process you might encounter, and what you can do about them. 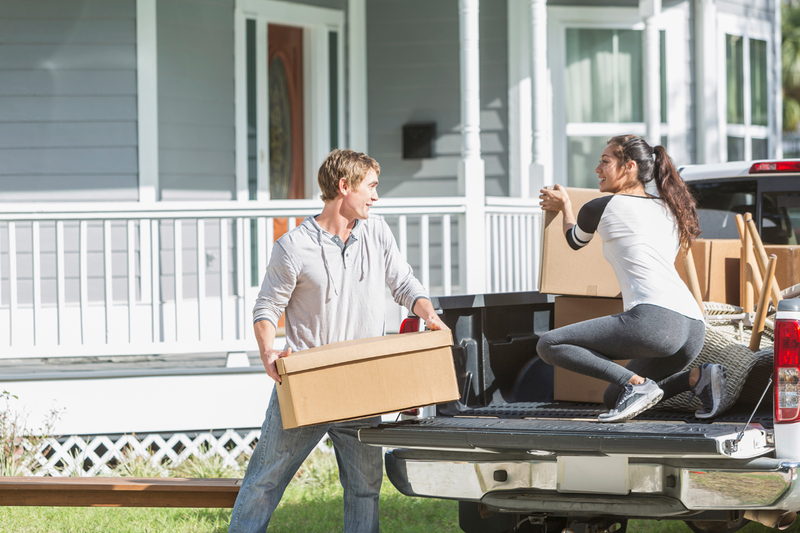 According to research from loanDepot, almost 66 percent of respondents listed packing and moving as one of their biggest moving stressors. To combat this problem, start packing early and you’ll avoid the mad dash at the end. You should also seek friends to help you move your items with a promise of a party at the end. The money you spring for pizza will be well worth it. Timing is crucial during a move, so it’s no surprise that 63 percent of those surveyed listed it as one of their greatest stressors. To take the stress out of your situation, it helps to plan for a delay. 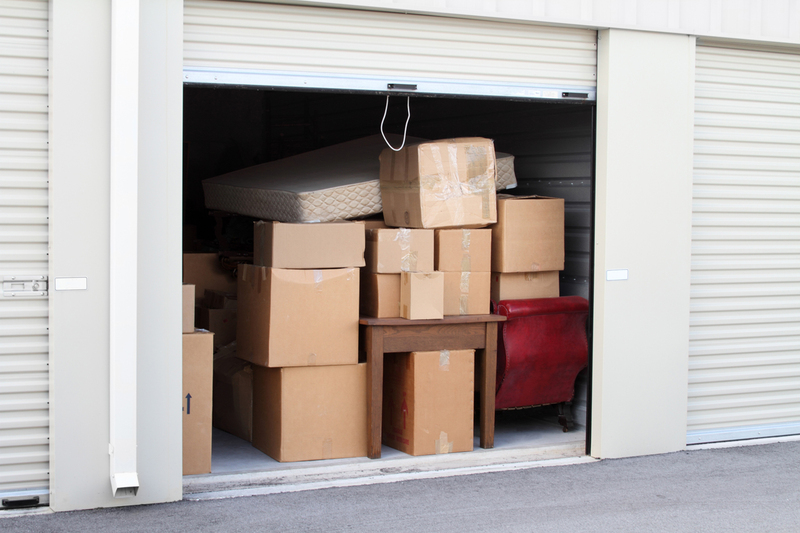 Rent a storage locker or set up a relative who can host you in a pinch just in case things don’t align as you plan. Plan for the worst and chances are you won’t need your backup plan. This is often a product of supply and demand, but your real estate agent should be able to give you a realistic expectation of when your home should sell with current market timing based on realistic comps available in your region. Be honest with them as to when you need your home to sell and be ready to lower your price if absolutely necessary. If getting rid of your old house is paramount, lowering your price to its minimum acceptable value can help make that happen. Inspections and paperwork take time, so your best bet here is to make sure you have time available and protected on your calendar. Once again, your real estate agent can be a valuable resource to guide you through all of the paperwork and inspections that must be completed. They may also have some advice on who to contact to hurry the process along. Once you’ve got the proper information, reach out immediately. The sooner you make contact, the sooner you can get on their calendar and get this necessary work done. 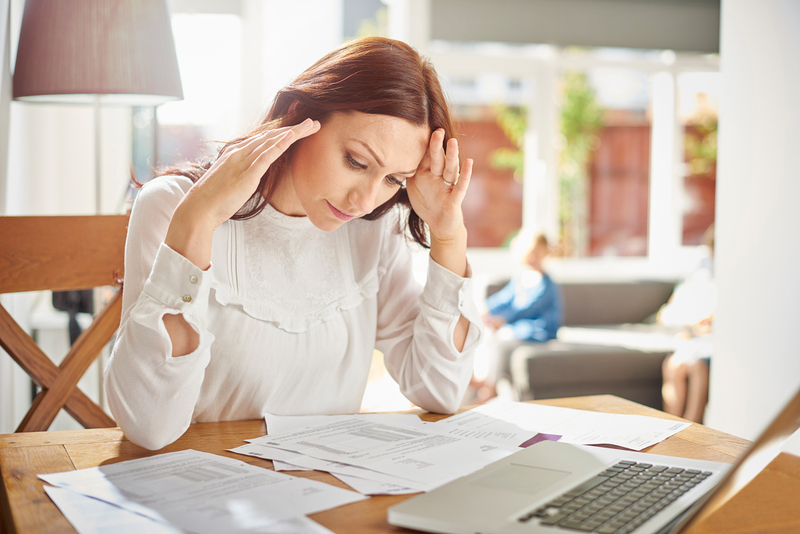 Whether it’s the down payment for your home or the mortgage itself, buying a new house carries with it a considerable financial obligation — probably the largest you will ever enter into — and that’s certainly cause for stress. Since it’s such an important purchase, not any loan will do. You want to find the best loan opportunity you can. loanDepot can help. 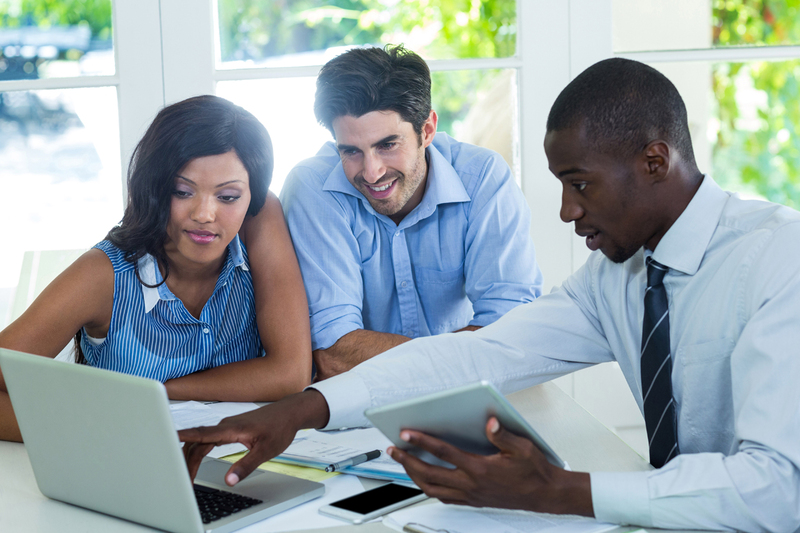 loanDepot matches borrowers through technology and high-touch customer care with the credit they need. This allows you to use loanDepot to look for potential loans outside your immediate market and even compare loans to find the best plan for you — a must with a purchase as important as your new home. So don’t delay. 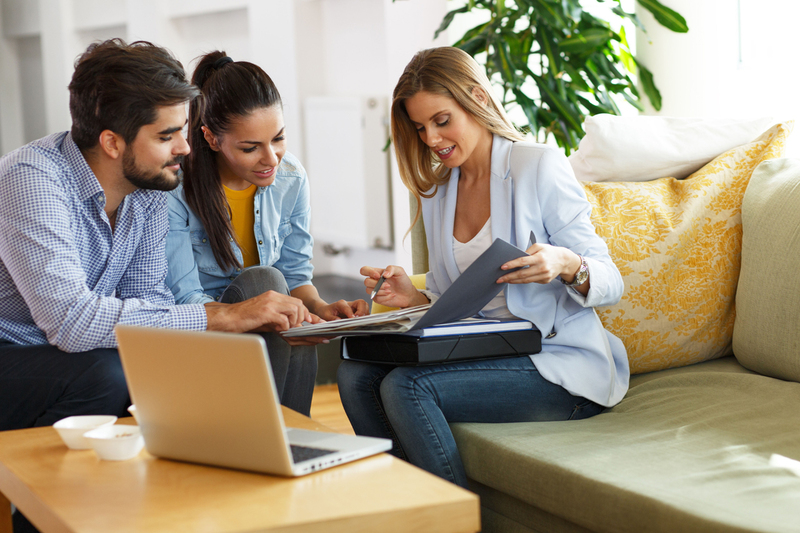 Connect with our lending experts today and take some of the stress out of your homebuying process. (BPT) – Controlling the “ABCs of diabetes” — A1C, blood pressure and cholesterol levels — is difficult enough, but when you add that second C — costly medications — it’s easy to see how one’s levels can spiral out of control quickly. According to the American Diabetes Association, for the 30 million people living with diabetes in the U.S., health care costs are more than double (2.3 times) the costs of those without diabetes. This is due to the ever-increasing costs of medications to treat diabetes and the chronic conditions that often accompany the disease, namely high blood pressure and high cholesterol. In fact, between 2002 and 2013, the cost of insulin has tripled, and newer cholesterol- and blood pressure-lowering medication costs are also on the rise. Now consider that in the U.S., more than 2 million children and adults living with diabetes do not have access to health insurance, and millions more are in high-deductible plans that can require high out-of-pocket costs. Lack of access to diabetes medications can lead to avoidable doctor visits, hospitalizations, amputations and even death. The good news is there are several ways to save money on diabetes care without compromising on quality. First, shop around. Medication prices can vary greatly by pharmacy. Second, if you are not using insurance to cover the cost of prescription drugs, there are many ways to obtain prescription assistance. One way to start saving money immediately is with Inside Rx, available at https://insiderx.com, a free discount drug card program, which provides deep discounts on certain brand-name diabetes medications, including insulin and drugs that treat co-existing conditions such as high cholesterol and blood pressure. Third, explore pharmaceutical assistance programs. Most pharmaceutical companies also offer financial assistance programs to persons who have trouble affording their medications and supplies. By doing some research into these types of discount programs and databases, it may be possible to save thousands of dollars a year, while controlling your diabetes and enhancing your quality of life. (BPT) – The holidays are a favorite time of year for many. We love decorating our homes, baking cookies, donating to our favorite charities, and listening to those classic songs we only get to enjoy a few short weeks each year. There’s all the holiday parties and celebrations. And of course, a big part of the season includes buying gifts for those we care about. There’s a lot that’s crammed into the holidays, so finding the time to get to everything we want and need to do can feel challenging. Fortunately, technology can help! Check out these gifting tips to help you save time and stay within budget this year. Free up some room in your sleigh. If you’re traveling for the holidays, the trip itself often has an impact on the gifts you purchase. But it doesn’t have to. If a long flight or drive made you shy away from larger gifts in the past, choose to buy online and ship your gifts to your final destination this year. Many of these services also offer gift wrapping and because the package is already being shipped, you don’t need to delay your trip waiting for your package to arrive. No minute like the last minute. This holiday season forget old fashioned cash and checks. There’s a new way to gift money right from your mobile banking app with Zelle®. Forget about going to the ATM, or having to find a stamp and then wait for the person to go cash your check. Zelle enables you to send money quickly, safely and easily with your mobile phone to almost anyone with a bank account in the U.S. Best of all, the funds are available to your loved one typically within minutes when both parties are already enrolled. Most likely, you already have Zelle as part of your mobile banking app; otherwise, you can still use Zelle by downloading the Zelle app for Android and iOS. You have that special friend who deserves the designer purse and you know how much it would mean to her. You round up your girlfriends and pool your money together. You can use Zelle to split the cost of the gift with everyone. All you need is their email address or U.S. mobile phone number. Zelle lets you request money with just a few taps on your mobile phone, making it easy to pool your resources and get the perfect gift for that special person on your list. The holidays are the most wonderful time of the year, but they can also be hectic, particularly if you haven’t finished your shopping. Technology can help you make every minute count. Utilize some of the tips above and hopefully your holiday shopping and the festivities will be a littler merrier for you and your loved ones. To learn more about Zelle and its participating financial institutions, visit www.zellepay.com. Transactions between enrolled users usually take minutes. Must have a bank account in the U.S. to use Zelle. Zelle and the Zelle marks are property of Early Warning Services, LLC. Must have a bank account in the U.S. to use Zelle. Zelle and the Zelle marks are property of Early Warning Services, LLC.